Tom Whitehead and Harry Yorke, “Jihadi John's fourth Beatle unmasked as refugee given shelter in UK,” Telegraph (London), May 23, 2016, http://www.telegraph.co.uk/news/2016/05/23/jihadi-johns-fourth-beatle-unmasked-as-refugee-given-shelter-in/. He was featured in multiple ISIS videos in which he beheaded captives including American journalists James Foley and Steve Sotloff, American aid worker Peter Kassig, British aid workers David Haines and Alan Henning, and Japanese journalist Kenji Goto.Michael Holden and Ahmed Aboulenein, “British PM Cameron vows to hunt down ‘Jihadi John’,” Reuters, February 28, 2015, http://www.reuters.com/article/2015/02/28/us-mideast-crisis-britain-cameron-idUSKBN0LV16H20150228. In the videos, Emwazi threatened U.S. President Barack Obama, British Prime Minister David Cameron, and other world leaders.Michael Holden and Ahmed Aboulenein, “British PM Cameron vows to hunt down ‘Jihadi John’,” Reuters, February 28, 2015, http://www.reuters.com/article/2015/02/28/us-mideast-crisis-britain-cameron-idUSKBN0LV16H20150228. He belonged to a four-member ISIS unit known as “The Beatles,” which included British foreign fighters Alexanda Amon Kotey, Aine Davis, and El Shafee Elsheikh. Emwazi was targeted and killed in a November 2015 U.S. drone strike in Raqqa, Syria.Dana Ford and Steve Almasy, “ISIS confirms death of ‘Jihadi John,’” CNN, January 20, 2016, http://www.cnn.com/2016/01/19/middleeast/jihadi-john-dead/. Emwazi was raised in the middle-class neighborhood of Queens Park, London.Foreign Staff, “Jihadi John named as Mohammed Emwazi, from west London,” Telegraph (London), February 26, 2015, http://www.telegraph.co.uk/news/uknews/terrorism-in-the-uk/11436596/Jihadi-John-named-as-Mohammed-Emwazi-from-west-London.html. In the early 2000s, Emwazi and future Beatles members Kotey and Davis reportedly attended the Al-Manaar mosque in Landbroke Grove, London.Jane Bradley, Tom Warren, and Richard Holmes, “ISIS Accomplice Of ‘Jihadi John’ Named As ‘Quiet And Humble’ Londoner,” BuzzFeed News, February 8, 2016, https://www.buzzfeed.com/janebradley/unmasked-the-second-member-of-isiss-beatles-execution-cell?utm_term=.hblMB4XJj#.bx3DJ2X7r. Emwazi then joined the London Boys, a radical network linked to terrorist plots in the United Kingdom including the 7/7 bombings.Jane Bradley, Tom Warren, and Richard Holmes, “ISIS Accomplice Of ‘Jihadi John’ Named As ‘Quiet And Humble’ Londoner,” BuzzFeed News, February 8, 2016, https://www.buzzfeed.com/janebradley/unmasked-the-second-member-of-isiss-beatles-execution-cell?utm_term=.hblMB4XJj#.bx3DJ2X7r. Kotey was also reported to be a member.Adam Goldman and Souad Mekhennet, “Another Islamic State jailer who held Western hostages identified as Londoner,” Washington Post, February 7, 2016, https://www.washingtonpost.com/world/national-security/another-islamic-state-jailer-who-held-western-hostages-identified-as-londoner/2016/02/06/a0f11d28-cc10-11e5-ae11-57b6aeab993f_story.html?utm_term=.9a89ab81d23c. British authorities have described the London Boys as “a network of United Kingdom and East African based Islamist extremists.”Colin Freeman, “Ladbroke Grove connection - the wealthy west London district that bred Jihadi John,” Telegraph (London), February 26, 2015, http://www.telegraph.co.uk/news/worldnews/islamic-state/11438534/Ladbroke-Grove-connection-the-wealthy-west-London-district-that-bred-Jihadi-John.html. In the mid-2000s, Emwazi attended Britain’s University of Westminster, where he was exposed to the ideology of international Islamist group Hizb ut-Tahrir through the university’s Islamic Society. Maajid Nawaz, “The Education of ‘Jihadi John,’” New York Times, March 3, 2015, http://www.nytimes.com/2015/03/03/opinion/the-education-of-jihadi-john.html. During Emwazi’s years as a student at the University of Westminster, the Islamic Society organized on-campus panels that included HT members as speakers.Sara Malm, “100 members of controversial Islamic group linked to radicalised British students including Jihadi John have ‘joined forces with al Qaeda in Syria,’” Daily Mail (London), April 11, 2015, http://www.dailymail.co.uk/news/article-3034733/100-members-controversial-Islamic-group-linked-radicalised-British-students-including-Jihadi-John-joined-forces-al-Qaeda-Syria.html. Emwazi graduated in 2009 with a degree in computer science.“’Jihadi John’ named as Mohammed Emwazi from London,” BBC News, February 26, 2015, http://www.bbc.com/news/uk-31637090. “‘Jihadi John’ movements mapped,” BBC News, February 26, 2015, http://www.bbc.com/news/uk-30292532. Emwazi contacted the British NGO CAGE to try to determine a way out of the country, telling them he was desperate to leave. Emwazi changed his name to Mohammed al-Ayan and applied for teaching positions in Saudi Arabia, though his applications were rejected.Dominic Casciani, “Islamic State: Profile of Mohammed Emwazi aka ‘Jihadi John,’” BBC News, November 13, 2015, http://www.bbc.com/news/uk-31641569. In August 2013, Emwazi reportedly crossed through six countries in order to reach ISIS in Syria. A jihadist source who allegedly accompanied Emwazi on the journey told British media that the pair left England on a boat, traveled to Belgium, and flew to Albania. From there they paid smugglers to take them to Greece, where they were detained but released after a few days. The pair then took a boat to Turkey, where ISIS handlers smuggled them into Syria.Chris Hughes, “Jihadi John dodged intelligence services in SIX countries after fleeing UK for Syria,” Mirror (London), April 28, 2016, http://www.mirror.co.uk/news/uk-news/jihadi-john-dodged-intelligence-services-7854688. Emwazi was reportedly guarding hostages in Idlib, Syria, later that year.Dominic Casciani, “Islamic State: Profile of Mohammed Emwazi aka ‘Jihadi John,’” BBC News, November 13, 2015, http://www.bbc.com/news/uk-31641569. By early 2014, Emwazi and The Beatles were believed to be guarding hostages in Raqqa, Syria, ISIS’s de facto capital.Souad Mekhennet and Adam Goldman, “’Jihadi John’: Islamic State killer is identified as Londoner Mohammed Emwazi,” Washington Post, February 26, 2015, https://www.washingtonpost.com/world/national-security/jihadi-john-the-islamic-state-killer-behind-the-mask-is-a-young-londoner/2015/02/25/d6dbab16-bc43-11e4-bdfa-b8e8f594e6ee_story.html. 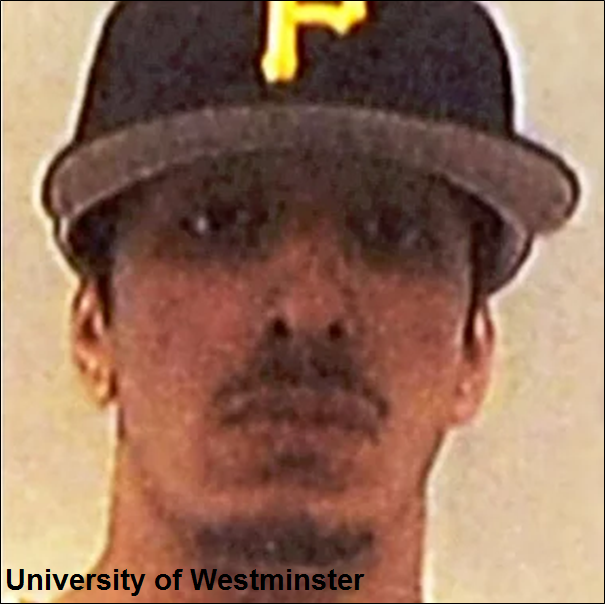 Souad Mekhennet and Adam Goldman, “’Jihadi John’: Islamic State killer is identified as Londoner Mohammed Emwazi,” Washington Post, February 26, 2015, https://www.washingtonpost.com/world/national-security/jihadi-john-the-islamic-state-killer-behind-the-mask-is-a-young-londoner/2015/02/25/d6dbab16-bc43-11e4-bdfa-b8e8f594e6ee_story.html. They also described The Beatles as among the more brutal of ISIS’s guards. Didier Francois—a French journalist held prisoner by The Beatles for 10 months—told CNN that The Beatles would regularly tell captives they were to be beheaded and stage fake executions.Mick Krever, “ISIS captors cared little about religion, says former hostage,” CNN, February 4, 2015, http://edition.cnn.com/2015/02/03/intl_world/amanpour-didier-francois/index.html?sr=fb020315isisquran4pVODtopVideo. Escaped captives also reported waterboarding and other torture. Francois was held captive alongside American journalist James Foley, whom Emwazi executed in an August 2014 ISIS video.Adam Goldman and Souad Mekhennet, “‘That is not the son I raised’: How a British citizen became one of the most notorious members of ISIS,” Washington Post, May 23, 2016, https://www.washingtonpost.com/world/national-security/that-is-not-the-son-i-raised-how-a-british-citizen-became-one-of-the-most-notorious-members-of-isis/2016/05/23/6d66276c-1cfd-11e6-b6e0-c53b7ef63b45_story.html?utm_term=.75e4dbc45560. Emwazi repeatedly threatened Western leaders and citizens in ISIS propaganda videos. In a September 2014 video message to President Barack Obama, he promised that ISIS would “begin to slaughter your people in the streets.”(Graphic Video) Islamic State Claims Beheading of Former U.S. Army Ranger/Aid Worker Peter Kassig,” Leak Source, November 16, 2014, http://leaksource.info/2014/11/16/graphic-video-islamic-state-claims-beheading-of-former-u-s-army-rangeraid-worker-peter-kassig/. In a January 2015 message to the Japanese government, Emwazi promised an “entire army thirsty for your blood” that would “cause carnage wherever your people are found. So let the nightmare for Japan begin.”“Graphic Video) Islamic State Beheads Japanese Journalist Kenji Goto,” Leak Source, January 31, 2015, http://leaksource.info/2015/01/31/graphic-video-islamic-state-beheads-japanese-journalist-kenji-goto/. In February 2015, U.S. and British Intelligence officials revealed that Emwazi was the Beatle known as Jihadi John.“Has ‘Jihadi John’ fled ISIS?,” Fox News, July 26, 2015, http://www.foxnews.com/world/2015/07/26/has-jihadi-john-fled-isis/?intcmp=trending. According to a 2015 Independent interview with Emwazi’s younger brother, Omar, the elder Emwazi blamed British security services for ruining his chance at marriage and a normal life in Kuwait.Robert Verkaik, “Mohammed Emwazi: 'Jihadi John' warned younger brother not to follow him to Syria and Isis,” Independent (London), January 24, 2016, http://www.independent.co.uk/news/uk/home-news/jihadi-john-mohammed-emwazi-isis-syria-warned-brother-a6831666.html. “Has ‘Jihadi John’ fled ISIS?,” Fox News, July 26, 2015, http://www.foxnews.com/world/2015/07/26/has-jihadi-john-fled-isis/?intcmp=trending. Despite this, a U.S. airstrike reportedly killed Emwazi in Syria that November. Two months later, ISIS confirmed Jihadi John’s death and true identity in an obituary in its English-language magazine Dabiq.Dana Ford and Steve Almasy, “ISIS confirms death of ‘Jihadi John,’” CNN, January 20, 2016, http://www.cnn.com/2016/01/19/middleeast/jihadi-john-dead/. Kotey and Elsheikh were captured in Syria in February 2017, while Davis was arrested in Turkey in November 2015.Tom Wyke, “Jihadi John ‘associate’ believed to be one of the British prison guards nicknamed ‘The Beatles’ is held in Turkey,” Daily Mail (London), November 13, 2015, http://www.dailymail.co.uk/news/article-3317560/Turkish-authorities-detain-London-petty-drug-dealer-turned-Jihadi-John-associate-Aine-Davis.html; Mark Hosenball and Idrees Ali, “Syrian Kurds capture two British Islamic State militants: U.S. officials,” Reuters, February 8, 2018, https://www.reuters.com/article/us-mideast-crisis-syria-britain/syrian-kurds-capture-two-british-islamic-state-militants-u-s-officials-idUSKBN1FS34Q. Jihadi JohnMargaret Coker and Jenny Gross, “Islamic State Militant Known as ‘Jihadi John’ Identified,” Wall Street Journal, February 26, 2015, http://www.wsj.com/articles/islamic-state-militant-known-as-jihadi-john-identified-1424955642. Abu Muharib al-MuhajirDana Ford and Steve Almasy, “ISIS confirms death of ‘Jihadi John,’” CNN, January 20, 2016, http://www.cnn.com/2016/01/19/middleeast/jihadi-john-dead/. Mohammed al-AyanDominic Casciani, “Islamic State: Profile of Mohammed Emwazi aka ‘Jihadi John,’ BBC News, March 8, 2015, http://www.bbc.com/news/uk-31641569. Muhammad ibn MuazzamSouad Mekhennet and Adam Goldman, “‘Jihadi John’: Islamic State killer is identified as Londoner Mohammed Emwazi,” Washington Post, February 26, 2015, https://www.washingtonpost.com/world/national-security/jihadi-john-the-islamic-state-killer-behind-the-mask-is-a-young-londoner/2015/02/25/d6dbab16-bc43-11e4-bdfa-b8e8f594e6ee_story.html?utm_term=.76d267e3ec6b. Mohammed Emwazi, a.k.a. “Jihadi John,” was a Kuwaiti-born British man who joined ISIS in Syria in 2013 and became known as one of the group’s most brutal executioners. “To the Japanese government. You, like your foolish allies in the satanic coalition, have yet to understand that we by Allah’s grace are Islamic caliphate with authority and power. An entire army thirsty for your blood. Abe, because of your reckless decision to take part in an unwinnable war, this knife will not only slaughter Kenji, but will also carry on and cause carnage wherever your people are found. So let the nightmare for Japan begin.”“(Graphic Video) Islamic State Beheads Japanese Journalist Kenji Goto,” Leak Source, January 31, 2015, https://leaksource.wordpress.com/2015/01/31/graphic-video-islamic-state-beheads-japanese-journalist-kenji-goto/. “To the prime minister of Japan, although you are more than 8,500 kilometers away from the Islamic State, you willingly have volunteered to take part in this crusade. You have proudly donated $100 million to kill our women and children to destroy the [unclear] of the Muslims. For the life of this Japanese citizen will cost you $100 million. And in attempt to stop the expansion of the Islamic State you also donated another $100 million to train the mujahideen against the mujahideen, and so the life of this Japanese citizen will cost you another $100 million. “And to the Japanese public, just as how your government has made the foolish decision to pay $200 million to fight the Islamic State, you now have 72 hours to pressure your government in making a wise decision by paying the $200 million to save the lives of your citizens.”“ISIS VIDEO: Jihadi John threatens to kill Japanese hostages unless ISIS gets $200 million,” YouTube video, 1:49, posted by TOMO News US, January 20, 2015, https://www.youtube.com/watch?v=SXmbAxUxf_E&bpctr=1438791532. “I am back Obama and I’m back because of your arrogant foreign policy towards Islamic State, because of your insistence on continuing your bombings and [unclear] on Mosul Dam, despite our serious warnings. You, Obama, have but to gain from your actions but another American citizen. So just as your missiles continue to strike our people, our knife will continue to strike the necks of your people. We take this opportunity to warn those governments that enter this evil alliance of America against the Islamic State to back off and leave our people alone.”Amir Abdallah, “Urgent Video: ISIS beheads American journalist Steven Sotloff,” Iraqi News, September 3, 2014, http://www.iraqinews.com/features/urgent-video-isis-beheads-american-journalist-steven-sotloff/. “To Obama, the dog of Rome, today we are slaughtering the soldiers of Bashar and tomorrow we will be slaughtering your soldiers. And with Allah’s permission…the Islamic State will soon…begin to slaughter your people in your streets.”“(Graphic Video) Islamic State Claims Beheading of Former U.S. Army Ranger/Aid Worker Peter Kassig,” Leak Source, November 16, 2014, https://leaksource.wordpress.com/2014/11/16/graphic-video-islamic-state-claims-beheading-of-former-u-s-army-rangeraid-worker-peter-kassig/. “The British man has to pay the price for your promise, Cameron, to arm the Peshmerga against the Islamic State. Ironically, he spent a decade of his life serving under the same Royal Air Force responsible for delivering those arms. Your evil alliance with America which continues to strike the Muslims of Iraq and most recently bombed the Haditha Dam, will only accelerate your destruction, the playing the role of the obedient lapdog, Cameron, will only draw you and your people into another bloody and un-winnable war.”“(Graphic Video) Islamic State Beheads British Aid Worker David Haines,” Leak Source, September 13, 2014, https://leaksource.wordpress.com/2014/09/13/graphic-video-islamic-state-beheads-british-aid-worker-david-haines/. “As a government you have been at the forefront of the aggression towards the Islamic State. You have plotted against us and gone far out of your way to find reasons to interfere in our affairs. Today, your military air force is attacking us daily in Iraq. Your strikes have caused causalities amongst Muslims. You are no longer fighting an insurgency. We are an Islamic army and a state that has been accepted by a large number of Muslims worldwide. So effectively any aggression towards the Islamic state is an act of aggression towards Muslims from all walks of life who have accepted an Islamic caliphate as their leadership. So any attempt by you, Obama, to deny the Muslims their rights of living in safety under the Islamic Caliphate will result in the bloodshed of your people.”Tim Walker, “James Foley ‘beheaded’: Isis video shows militant with British accent ‘execute US journalist’ –as hunt begins for killer,” Independent (London), August 20, 2014, http://www.independent.co.uk/news/world/middle-east/british-islamic-state-jihadist-beheads-american-journalist-james-foley-in-chilling-video-9679827.html.